Douglas B. Farquhar | Hyman, Phelps & McNamara, P.C. Douglas B. Farquhar has more than 30 years of experience as a prosecutor and defense and regulatory attorney. 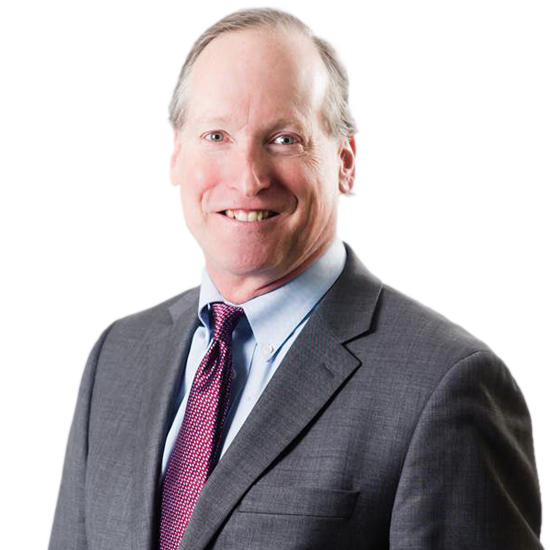 Since joining the firm in 1997, he has advised pharmaceutical and medical device manufacturers and wholesalers, compounding pharmacies, and individuals on a wide range of enforcement activities, including consent decrees, criminal investigations, debarment issues, arbitration proceedings, civil seizures, FDA inspection issues, and injunctions. Mr. Farquhar has a broad-based understanding of the investigatory process, having negotiated settlements and resolutions for both industry and government. In the last three years, Mr. Farquhar has served as lead trial and appellate counsel for generic drug companies in three different cases related to generic drug exclusivity. In each case, he has won judgments securing his client’s approvals of Abbreviated New Drug Applications. In one of the cases, he secured a judgment from the Fourth Circuit Court of Appeals reversing FDA’s decision to deny his clients ANDA approval, a decision that had been upheld by the lower court. Mr. Farquhar also advises companies and individuals on adverse findings after FDA and other regulatory agency inspections. He has been active in defending companies during government investigations into drug pricing and drug and medical device fraud and abuse claims. In addition, Mr. Farquhar has represented employees and companies in investigations relating to anti-kickback laws. He has argued cases and conducted trials in federal court defending companies and individuals against both civil and criminal FDA enforcement efforts, and has sued FDA in cases related to generic drug approvals and adverse FDA publicity about his clients. Mr. Farquhar’s legal career includes seven years of service as a federal prosecutor. He was an assistant U.S. Attorney in the District of Maryland from 1990 to 1997, and clerked for the Honorable Judge Joseph H. Young, U.S. District Court in Baltimore, Maryland. Mr. Farquhar also reported for local newspapers before enrolling in law school. Mr. Farquhar shares his perspective on enforcement and litigation issues through frequent speaking engagements and publications. He contributes to the firm’s FDA Law Blog, and has served repeatedly as co-chair of the annual Enforcement Conference for FDLI. In addition, he wrote two chapters for the FDLI publication, How to Work with FDA, focusing on seizures, injunctions, consent decrees, and stolen drug samples. Worked on more than 20 cases related to Hatch-Waxman, including challenges to generic drug marketing exclusivity for the generic versions of Lipitor® and Celebrex®. Litigated cases in federal and state court on behalf of at least two large generic drug manufacturers, including drug pricing litigation brought by class action plaintiffs and by state Medicaid agencies. Managed federal litigation relating to approval of certain prescription drugs and medical devices. Assisted clients with FDA inspections, drug manufacturing, drug compounding, and medical devices. Counseled clients on responding to FDA inspections, warning letters, and import alerts. Served as lead counsel in a civil injunction trial regarding Pharmakon Laboratories (Florida). Argued numerous motions, presented evidence at numerous evidentiary hearings, and briefed and argued numerous appeals, as a government attorney, an appellate attorney representing plaintiffs against FDA, and an appellate attorney representing defendants. Represented defendants in negotiating plea agreements, and in advocating for defendants at sentencing hearings. As a prosecutor, represented the government during similar proceedings. Acted as lead prosecutor in more than a dozen jury trials in federal district court.